When I was a kid, I was fascinated with how things worked. I loved working with my hands and used to take a lot of things apart – first toys, then computers, and finally, cars. I’ve also dabbled with art all my life. I knew my career would have to include these interests and my love of people, too. For me, dentistry is the ideal way to align all of these passions. As a native of North Carolina, I did my training at the dental school in Chapel Hill. But after dental school, there is no required residency or post-graduate program. I decided to join the U.S. Public Health Service as a commissioned officer and headed to New Mexico to work in a dental clinic on the Navajo reservation. I got several years’ worth of experience and knowledge in the short year that I was there. My wife Lisa, who is a dental hygienist, and I returned to Charlotte to start Adult Dentistry of Ballantyne in 1999. A few years later, we started our family. Lisa and I are blessed to have three beautiful children who make life an incredibly busy and fun-filled ride. I hope one day to have one of my children come join me in the practice of dentistry. That’s a few years down the road, so we’ll have to wait and see. 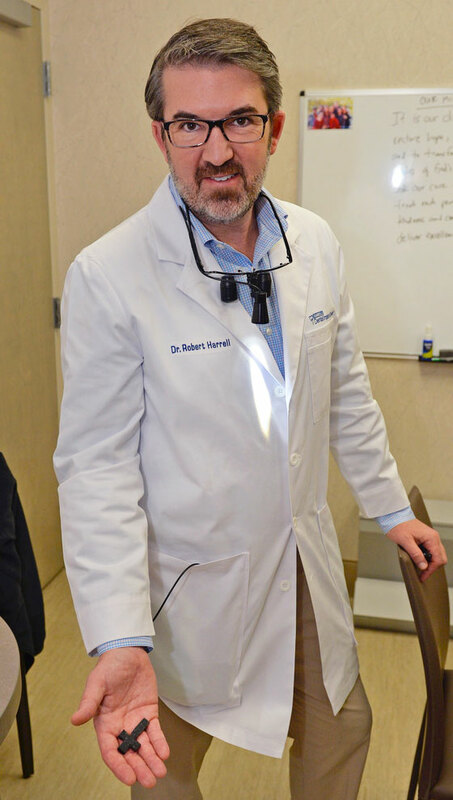 Along the way, I have taken the time to study with many of the great minds and hands in dentistry, including Dawson, Misch, Strupp, and Spears. Continuing my education is something that is extremely important to me. I typically take three to four times the required amount of continuing education annually. Having performed thousands and thousands of cosmetic procedures, I have the experience to stand out from the crowd. I truly love practicing dentistry; my results speak for themselves. I invite you to come in, sit down, share your problems, and have a chat about how we can help you. Then, decide for yourself if I am the right dentist for you.